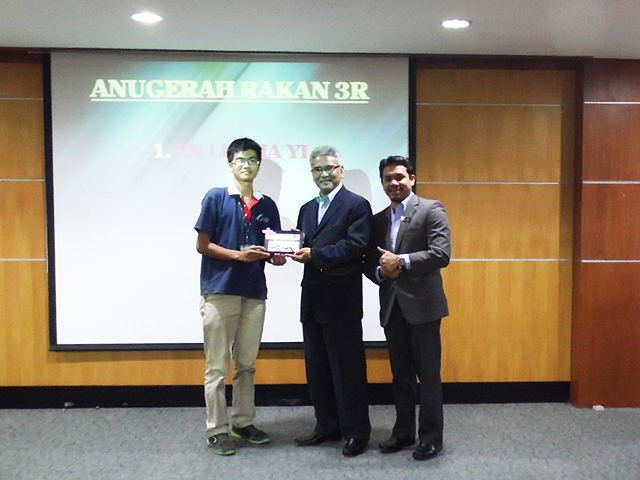 With the vision to help make the environment a better place through solid waste management, Final Year Environmental Engineering student Lee Jia Yi is finally one step closer to achieving his dream when he won the “Green Neighbourhood Initiative Award - Friend of 3R (Reduce, Reuse, Recycle)” on 21 December 2015 at Kompleks Pentadbiran Majlis Daerah Kampar (MDKpr). Organised by the Kampar District Council, the Green Neighbourhood Initiative was a collaborative effort with the community to raise awareness on the importance of 3R practice among the public. Lee used his final year project to participate in the environmental programme and was acknowledged for his efforts. He was duly awarded a certificate. Titled “Waste Composition and Students’ Acceptance of Waste Segregation in West Lake Student Hostel Area”, the project uses an environmental management system and constant monitoring to ensure the continual improvement of the project’s performance. Implementing the waste segregation programme at the hostel area, students will have increased awareness and improved behaviour on waste management, and diverting the recyclable waste from landfills. Lee’s lifelong passion is to work in the solid waste management field, and with that purpose, he was further driven to make his project a success. “I like the quote ‘there is no waste in this world’, because it reminds me that the success of my project will not only bring benefit to the environment, economy, and society, but with the waste segregation programme implemented, the project becomes even more meaningful, and it motivates me to make it a success,” enthused Lee. The segregation programme focused on separating materials such as paper or cardboards, metals, plastics, glass, food wastes, and e-wastes. To ensure the smooth operations of the programme, trainings were conducted to educate students on the segregation practices. 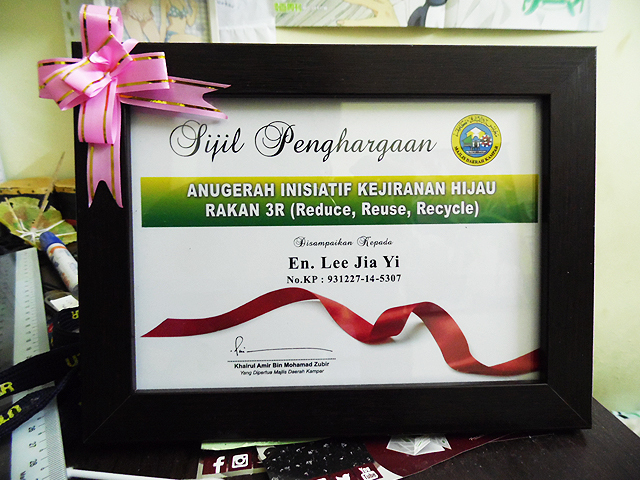 On 16 August 2015, Lee, with the cooperation of Kampar District Council, introduced a new waste collection system to allow students practise waste segregation. Lee’s segregation programme was also used in the recent UTAR Public Relations Campaign 2015/2016: Volunteerism IV in its e-waste reduction initiatives. In the hope of making waste segregation a sustainable culture in Malaysia, Lee plans to work as an environmental officer in his homeland, Penang. 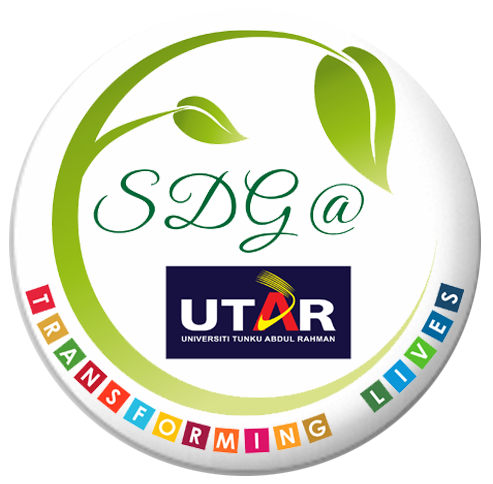 “UTAR’s Environmental Engineering Programme has taught me a lot and my supervisor Dr Mohammed J. K. Bashir (Department of Environmental Engineering Head), has guided me well in making this project a success. I hope I will able to apply all that I have learnt into improving the implementation of waste segregation programme in our country,” said Lee. He is eager to contribute his skills and experience gained from UTAR to make solid waste management an effective solution in reducing waste disposals at landfills, while making 3R a widely practiced environmental effort among the public.